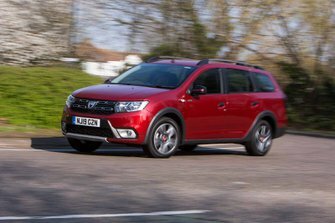 Dacia Logan MCV Estate Review 2019 | What Car? 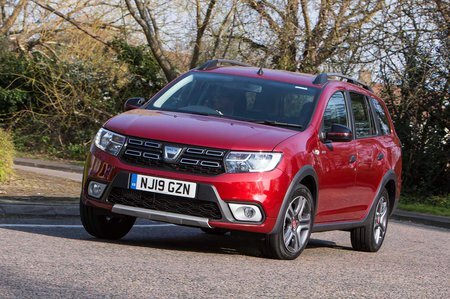 Building a budget small car is one thing, but, when Dacia announced it was to offer an estate with class-leading space at a class-beating price, many were surprised. Okay, so the Dacia Logan MCV estate may be built using bits from a circa-2000 Renault Clio, but when you look at its low list price, the fact that it’s less than state-of-the-art seems insignificant. Despite being based on quite a small car, Dacia has made sure the Logan MCV (maximum capacity vehicle, of course) has plenty of room inside. Though quite narrow, its body is long with a boxy behind that can fit much of what family life throws at it. To put it into perspective, it has more space than the more expensive Skoda Fabia and isn’t that far behind the Kia Ceed Sportswagon. However, the Logan MCV’s main draw is its incredibly low starting price. How cheap? Well, let’s just say that you can pick up this spacious estate for around the same cost as a city car such as the Volkswagen Up or Kia Picanto. Bear in mind, though, that entry-level Access trim doesn’t even give you a radio, let alone air conditioning, so be prepared to venture further up the price list. There’s a trio of petrol and diesel engines available, all of which come with a five-speed manual gearbox only. Non offers more than 100bhp, which may sound a little meagre for a car of such stature, but all engines prove surprisingly capable, depending on how much stuff you’re hauling around. Those who fancy a bit of SUV-inspired style at an attractive price might be tempted by the Stepway version. With a loftier ride height and lots of black plastic cladding, it adds a slightly tougher edge to the Logan MCV’s demeanour. To find out which is our favourite version, read on for our full review. If you’re ready to buy, our New Car Buying section offers massive savings on loads of new motors.